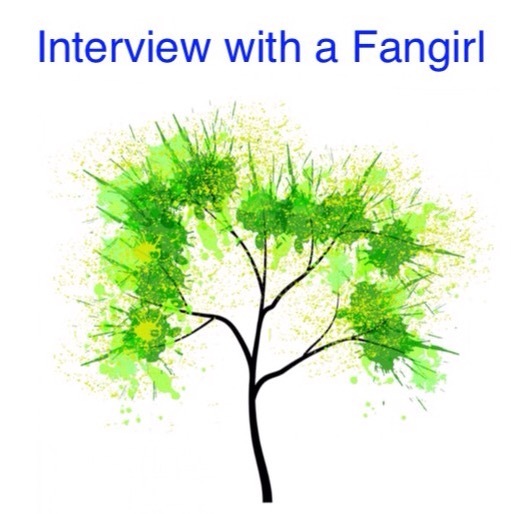 Today, it is my pleasure to interview Blogger, Podcaster and Fangirl Savanna Kiefer! I became aware of Savanna through the Star Wars Fangirl Community and count her as one of my Fangirl inspirations! Welcome Savanna to The Adventures of The Everyday Fangirl and thank you for taking the time to answer these questions about being a Fangirl. I realized I was a fangirl when I started to meet other fangirls that were just like me! At first, I didn’t know there were other girls who loved Star Wars! Thankfully I was welcomed into an online community when I was in my early teens and that group of girls really shaped who I am today. That’s when I learned I should be proud to consider myself a fangirl and celebrate all the other ladies who loved the same things as I did. Social media has really helped me become more confident in myself and allowed me to make lifelong friends! I joined Facebook and Twitter when I was around 13-years-old. That’s when I really started blogging and meeting other girls who were interested in Star Wars too. I’m super thankful that now I have a really supportive group of people, both men and women, following me across all my social media. It’s nice to have a whole army of people to have your back when times get tough and friends to celebrate with when things are good! I grew up in a family that loved Star Wars and watched the movies pretty much every single day of the week. I always enjoyed the movies, but I really didn’t claim the fandom as my own or consider myself a fan until I started watching Star Wars: The Clone Wars. That show really catapulted my fandom into something bigger than I could ever imagine. All because of one animated TV show, I’ve had the most amazing opportunities in my life and met incredible people. Gosh, I’ve learned so much from the Star Wars fan community! I think the best lesson has been the fact that I will ALWAYS have a family in the community. Obviously, I have my real family, but my Star Wars family is super special. I’ve met friends all over the world who love Star Wars just as much as I do and they’ve blown me away with kindness throughout the years. Sometimes I get hand-written letters from other fangirls that I’ve briefly met in person at a convention or just chatted with online and that’s really cool. I’m a huge Indiana Jones and Disney parks fangirl! I grew up in central Florida near Walt Disney World and lived in Anaheim last year near Disneyland, so I think Disney definitely runs in my blood. Indiana Jones is great because A) Harrison Ford is the lead star and B) it’s just a really fun adventure series. Never, ever be ashamed of loving the things you love. No matter what it may be, wave your geek flag high and proud! You can find me on Twitter and Instagram @savanna_kiefer. My Facebook page is www.facebook.com/TheDorkyDiva and you can find all sorts of fun fandom related posts at www.TheDorkyDiva.com.